This simple and quick all in one meal is sure to become a regular midweek meal. Divide the chicken, cheese and most of the coriander between 4 of the tortillas. 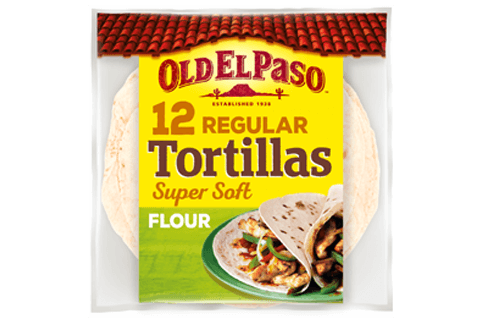 Top with the remaining tortillas. Heat a large 12 non-stick frying pan over a medium heat. Brush the frying pan with oil then lay 1 quesadilla into the pan. Cook for 1-2 minutes, then brush the top side with oil and carefully turn over. Cook for a further 1-2 minutes, until golden. Repeat with the remaining quesadillas. 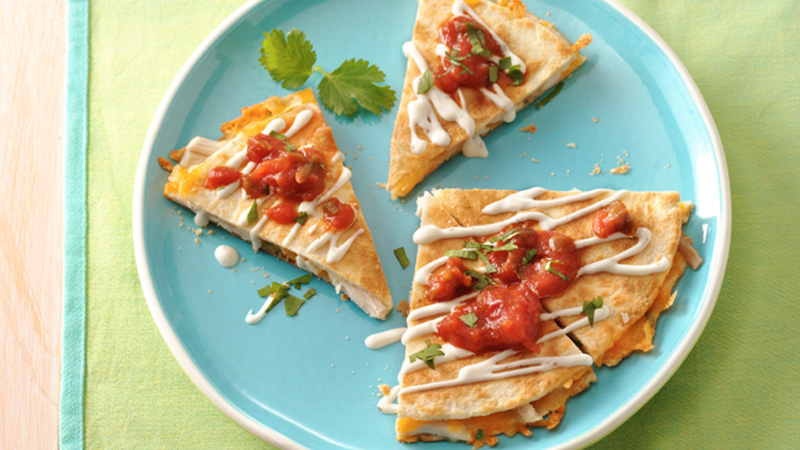 Serve the quesadillas drizzled with the dressing and salsa. Garnished with the remaining coriander and cut into wedges to serve. Serve alongside a salad for a more filling meal.